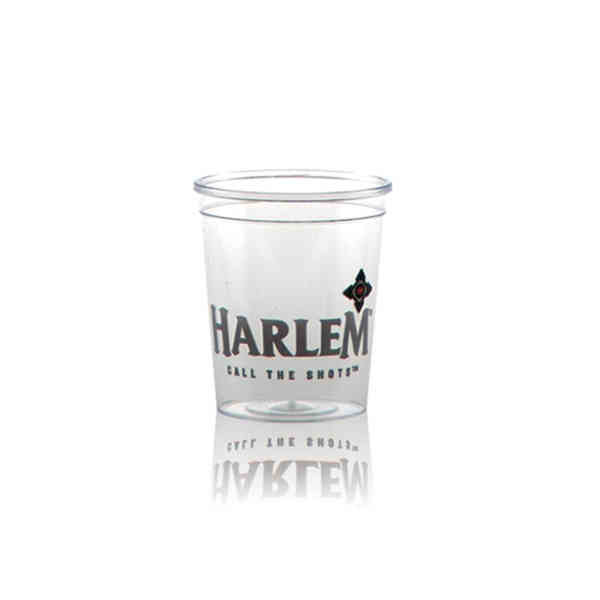 Our 2 oz Clear Hard Plastic Shot Cups not only make for an impressive presentation, but they're recyclable, too! This product may be Offset Printed in 1-6 spot colors, best for large quantities. No extra cost for 1 side, 2 side or wrap imprint. Free PMS matching. Metallic and neon ink colors offered at no extra cost. Made and printed in the USA. Ship Weight:29 lbs, Package count, Case quantity, Case Dimensions will be different for unimprinted items. Box must use the greater of case vs. dimensional weight for all shipments.